Commercial vehicle supplier Haldex AB reported mixed fourth-quarter and full-year 2017 results amid an improved North American market, and as it successfully fended off an attempted takeover. Quarterly net income for the period ended Dec. 31 improved to $1.7 million, or 3 cents per share, compared with a net loss of $6.8 million, or 15 cents. Revenue was fractionally lower at $127.5 million compared with $128 million in the same 2016 period. For the full year, net income fell to $9.6 million, or 20 cents, while revenue rose to $542 million. That compared with net income of $11 million, or 24 cents, on revenue of $532 million the year before. In the quarter, Haldex continued to improve net sales in all geographic regions, which resulted in growth for all of 2017 as well, according to the Landskrona, Sweden-based company, which reports in krona. Several product areas were strong, including disc brakes and brake adjusters. Also, sales of actuators exhibited growth for the first time since the product recall in 2014. “In 2017, which in many ways was an exceptional year for Haldex, we created new drive and unity within the company, Haldex CEO Åke Bengtsson said in a company release. “The technology shift to autonomous-driven vehicles became increasingly evident, and Haldex’s open and flexible solutions, which have been developed in cooperation with customers, are far more competitive than what the size of our company indicates. A takeover process for Haldex began in July 2016. About a year later, the company board announced it no longer supported the bid from Knorr-Bremse due to the low probability of approval by regulators. The bid was withdrawn in September. Also, despite growth in North America — which represents 50% of its sales — the company did not keep pace with market improvement. However, that growth helped it achieve higher profitability than it forecast. 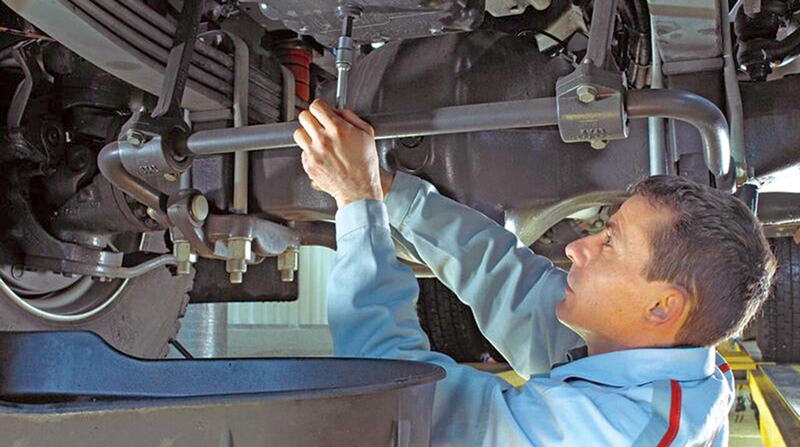 Also, Haldex noted improved sales of its Midland value line of aftermarket parts in the United States. Plus, the shift from drum brakes to disc brakes in the United States is expected to progress faster than what was previously believed, according to the company. “The disc brake has higher sales per unit compared to the drum brake, since we only sell the brake adjuster as part of the drum brake. The margin is lower in percent but higher in absolute figures,” Bengtsson said. Haldex forecast net sales for 2018 will increase compared with 2017. “Higher sales enable higher operating income. This will be off-set against greater investment in development projects and costs for expansion in North America and China,” Bengtsson said. Haldex’s manufacturing line includes commercial vehicle air disc brakes, brake adjusters and brake pads, plus air suspension control valves and air treatment products.